It's been a few weeks since Jim Balsillie resigned from his position on the board at Research In Motion. Until now however, it was unclear as to just what ultimately led to the decision. Reuters is reporting that Balsillie "sought to reinvent the BlackBerry smartphone maker with a radical shift in strategy" before he ultimately stepped down. 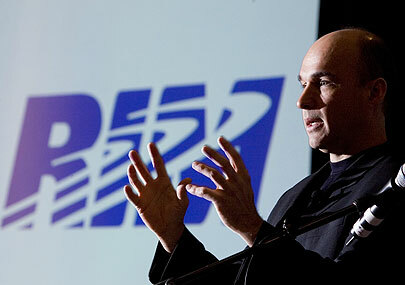 Apparently Balsillie had come up with a plan to allow North American and European carriers to use the RIM network for non-BlackBerry devices. The carriers would in turn be able to offer limited messaging plans and inexpensive data plans to customers. There was disagreement over Balsillie's plan on many levels, however, and he ultimately stepped down from the board. The plan, which would have been beneficial for carriers, consumers and RIM alike, would have allowed consumers to purchase lower cost, entry-level smartphone plans that included social media, messaging and most importantly -- BBM. The service would allow other devices to run on RIM servers which are located across the globe, breaking RIM's BlackBerry-only history. RIM currently offers low-cost BlackBerry plans in emerging markets that provide basic messaging and social media. While they had developed software in which to provide these services to both Android and iOS users, the plan was rejected by new RIM CEO Thorsten Heins in favor of BlackBerry 10 devices. While he was originally against the idea of selling or licensing their software at all, after the March earnings call, Thorsten Heins has recently stated RIM may now be looking for partnerships or licensing.